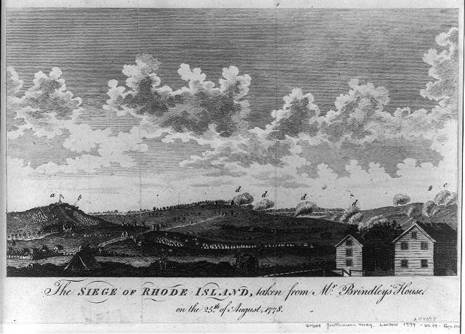 The Battle of Rhode Island, also known as the Battle of Quaker Hill, took place on August 29, 1778, when units of the Continental Army under the command of John Sullivan attempted to recapture the island of Rhode Island (now known as Aquidneck Island to distinguish it from the state of Rhode Island in which it is located), from British forces. The battle ended inconclusively, but the Continental Army had to give up its goal of capturing the island and securing Narragansett Bay for American and French ship traffic. In London King George III gave up hope of subduing America by more armies while Britain had a European war to fight. "It was a joke," he said, "to think of keeping Pennsylvania." There was no hope of recovering New England. But the King was determined "never to acknowledge the independence of the Americans, and to punish their contumacy by the indefinite prolongation of a war which promised to be eternal." His plan was to keep the 30,000 men garrisoned in New York, Rhode Island, Quebec, and Florida; other forces would attack the French and Spanish in the West Indies. To punish the Americans the King planned to destroy their coasting-trade, bombard their ports; sack and burn towns along the coast (as Benedict Arnold did to New London, Connecticut in 1781), and turn loose the Native Americans to attack civilians in frontier settlements. 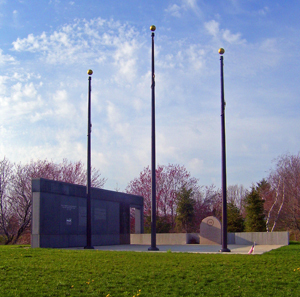 These operations, the King felt, would inspire the Loyalists; would splinter the Congress; and "would keep the rebels harassed, anxious, and poor, until the day when, by a natural and inevitable process, discontent and disappointment were converted into penitence and remorse" and they would beg to return to his authority. The plan meant destruction for the Loyalists and loyal Native Americans, an indefinite prolongation of a costly war, and the risk of disaster as the French and Spanish assembled an armada to invade the British Isles. The British planned to re-subjugate the rebellious colonies after dealing with their European allies.